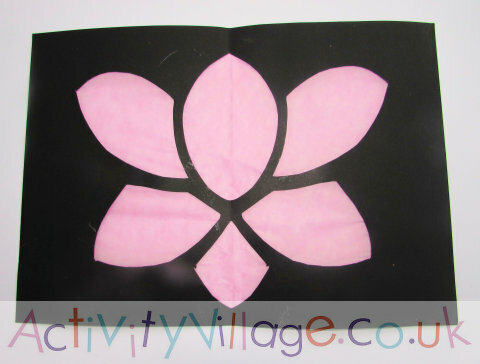 Fold the card in half and draw on the petals of a lotus flower, using our photo as a guide. Carefully cut out the pieces. Glue a piece of pink tissue paper to the back of the card. Hang your picture up against a window, or somewhere the light will shine through it.